I’m not really an IHOP person, but I guess if I was in the mood for some fast(ish) food pancakes and eggs, that would be the place I would probably type into Google Maps to find (no Waffle House around here). I don’t really understand the rebrand from pancakes to burgers, but I am not their target audience, so who knows if this will work out well for them. I checked the IHOB.com domain name last week when I heard the news about the upcoming rebrand, but the domain name did not resolve to a website and the Whois information was redacted due to GDPR. Today, you can see the apparently new IHOB logo on the landing page. Because of where the domain name is registered (Tucows) and GDPR, I can’t say for certain whether IHOB acquired the domain name and is the registrant, but it certainly seems like it. Part of me doesn’t really know if this is some sort of viral marketing stunt, but it certainly looks like they are all in on this rebrand. Update: I just looked at the landing page on Safari, and as pointed out by Bill Sweetman in the comment section, there is a “Click Here” link leading to an Afternic page where the domain name is supposedly being offered for sale for $50,000. It does not appear for me on Chrome, so I did not see that when I wrote the article this morning. If this domain name was listed for sale on Afternic as would appear to be the case, the restaurant most likely did not buy this domain name. 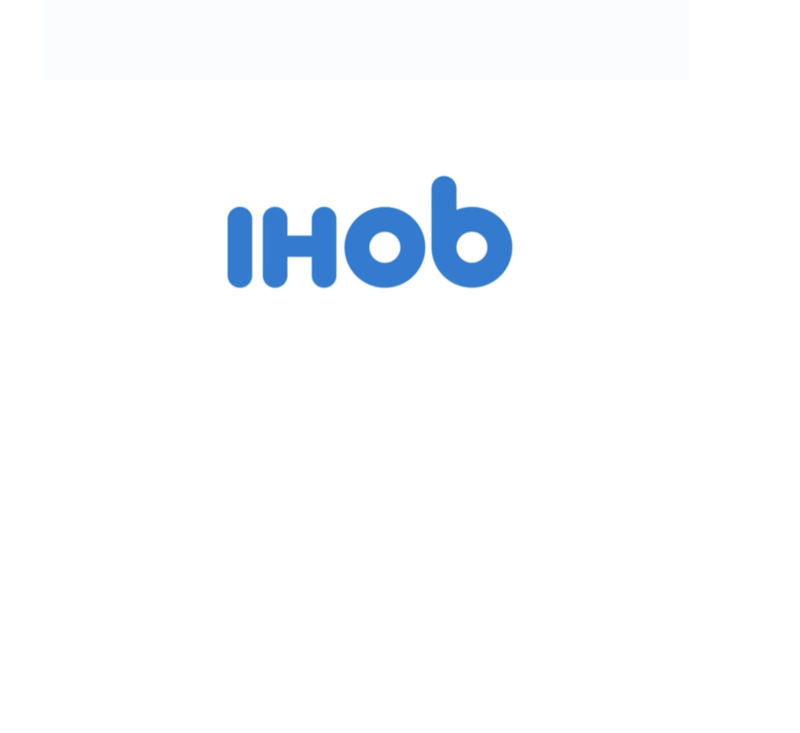 Further, I noticed the graphic logo on IHOB.com does not have the red line underneath like the logo showing up on IHOP.com. It seems I may have been wrong about the domain name acquisition. IHOB just sounds weird to me. Plus, there are enough burger companies already! Might be a mistake rebranding. Interesting marketing- I guess I am not sure if it is a full re-brand or marketing initiative letting folks know that they are more than just pancakes. They have gotten plenty of free advertising for sure- which is worth a ton. It looks like they indeed did move the verified @ihop Twitter handle to @ihob but strange that they did not have the ihob.com domain ready to go with content (just has the “new” logo). Will be interesting to watch. Well, I was with the folks who figured the “B” was going to stand for “Breakfast”! International House of Breakfast, that would have been memorable. Not to mention that the “all-day breakfast” concept has proven to be quite a winner… Burgers, yikes, there’s enough competiton in that area already. 1. They want some lunch business and B certainly surprises everyone. 2. They want to be known as a place that is more than pancakes for breakfast. Both seem a little strange to me but I can see someone over there thinking that a great way to grow their business would be to bring more people in for lunch (and even dinner). Gotta say that tweet made me laugh. I’ve never ate at IHOP but Im guessing they may have changed their business model from pancakes to burger to serve more people (brunch, lunch and dinner and for late nights as opposed to just breakfast). I also thought the “B” was for breakfast at first. What I find interesting though is a lot of companies are struggling for some reason. Toys’R US is no longer, Walmart is struggling to compete with Amazon and Pepsi is trying to stay relevant with “Vessel” the new healthy drink. Its been reported the soda industry is suffering. A lot of major businesses are going through a change. One thing youll note is the real logo on IHOP.com has a red smiley underneath. There is no TM or red smiley on ihob.com, so there is a chance it is not owned by the restaurant company. Elliot, check out the (new?) click here link on IHOB.com lander. Sounds like someone in marketing is going to be fired. I don’t see anything that says “click here.” I just see an IHOB logo. I see “click here” when I visit using Safari but not on Chrome. The Click Here link goes to an Afternic page. I just updated my article. Really bad idea to list the domain for sale with a copycat logo. That was part of the basis for the ADO.com UDRP loss. Equally bad idea for ihop to rebrand without securing the .com. ihob.com hasn’t changed hands, it’s hosted on the same IP as its “previous” registrant, BOL Solutions in Switzerland. I hadn’t looked at the IP address. I can’t believe someone would risk this name by putting up a logo that looks so similar to the real logo. Companies like IHOP (I don’t even know if this is the parent company) hire branding companies like Landor to create logos, several possible names, focus groups, storytelling messaging — the assignments run between 500 K and 25 million. I wouldn’t call that article official by any means, so the quote doesn’t hold much weight. The domain sold, but I do not think it was IHOP who purchased it (likely yesterday (6/10/2018 because that is when it was listed on Afternic). It’s more likely to be a domain investor. Think of the timing alone, it’s just off. The fake logo, the German hosting. I haven’t been in an IHOP for years, and it was usually for coffee or breakfast across from my university. I had no idea they sold hamburgers. This couple tried to trademark IHOP years ago for International House of Barbecue, but the USPTO denied their application, citing confusion with IHOP. Per CNBC this was just a marketing promotion and not a name change- so well done- they got millions in buzz and free marketing! Well, the saga of IHOB.COM just gets a little more strange… During most of Monday June 11th, the name resolved to a page with a cringingly similar blue logo to IHOP. A clickable link then went through to an Afternic sale page with a BIN of $50K. Now (late in the evening West Coast time) the name resolves to a plain page just featuring an image of a burger. No almost-the-same logo, no clickable link. However, when you search on Afternic, the domain is still listed at the $50K BIN. Presumably someone suggested that the previous logo page could be a real problem. This still begs the question as to why on earth IHOP didn’t acquire IHOB before this whole marketing campaign? ?